A recent Memorandum decision by the United States Ninth Circuit Court of Appeals decided without argument underscores the importance of updating all employee plan beneficiary designations after a change in marital status. E & J Gallo Winery v. Rodgers, No. 13-55327, D.C. No. 8:09-cv-00513-DMGMLG (9th Cir. 02/23/2015). Robert Rogers was an executive with E. & J. Gallo Winery and participated in its non-qualified deferred compensation plan. In 1988, Mr. Rogers designated his then wife, Audrey, as his primary beneficiary under the plan and his brother, Mark, as secondary beneficiary. It appears that in 2008, Rogers and Audrey divorced. Audrey waived and released her rights under the deferred compensation plan. Rogers later married Michelle. Rogers died without having updated his beneficiary designation. Michelle claimed the plan’s death benefit alleging that a letter accompanying the 1988 beneficiary designation incorporated by reference "all of the terms of the Gallo Profit Sharing Retirement Plan" (the "Gallo Qualified Plan"). Under the Gallo Qualified Plan, Michelle would be entitled to the benefit as Roger’s surviving spouse. The Court found that the 1988 letter "did not clearly and unequivocally incorporate by reference the entirety of the Gallo Qualified Plan." Since the non-qualified deferred compensation plan was a "top-hat" plan, it was exempt from ERISA’s required spousal benefit and consent requirements. The Court noted that, "Nothing in the [non-qualified plan’s] governing documents provided that Robert’s marriage to Michele would void his prior beneficiary designation." Therefore, the Court concluded that Roger’s brother, Mark, is to receive the plan’s death benefit. We will never know for sure whether Roger wanted his brother or his wife to receive the plan’s death benefit. Possibly this result would have come as a surprise to him. It certainly was a disappointment for Michelle. However, the case underscores the need for participants to revisit all of their retirement plans (including IRAs), group (and other) life insurance policies, non-qualified deferred compensation plans, and other arrangements providing survivor benefits; e.g., some long-term care policies, whenever there is a change in marital status. Beneficiary designations are used in retirement, life insurance, non-qualified and other plans to determine who will receive benefits following the death of a participant. In some cases, such as qualified retirement plans, benefits are subject to spousal protections. ERISA provides requirements for the form and timing of beneficiary designations when the participant is married. Beneficiary designations are a matter of plan design when it comes to other types of benefit plans. If a participant fails to update beneficiary designations, the result may be that existing beneficiary designations or default plan provisions do not accurately reflect the participant’s intentions. This can result in disputes regarding who is entitled to plan benefits. The most frequent disputes arise where a participant marries or divorces and fails to update her or his beneficiary designations to reflect this change of status before death. In these cases, failure to act can result in disputes between the participant’s spouse, ex-spouse, and other potential beneficiaries including, among others, parents, children or siblings. Employers and plan administrators are drug into these disputes through ERISA’s benefit claim and review procedures. They are often asked to make difficult decisions that may not only be unpopular with a claimant but also possibly appearing to other plan participants to be unfair. If the employer or plan administrator pays the wrong person, the benefit may need to be paid twice, and the employers or plan administrator will need to seek recovery from the person wrongly paid. We recommend that employers and plan administrators develop and periodically distribute educational materials explaining the importance of beneficiary designations, how they work, and the importance of updating them if certain changes occur. In its 2012 Report, the ERISA Advisory Council recommended to the U. S. Department of Labor that materials should be developed to explain: (a) the importance of completing beneficiary designations; (b) the consequences to participants and their beneficiaries where the beneficiary designation forms are not properly or timely completed; (c) the importance of reviewing and periodically updating their beneficiary designations for all employer-sponsored plans and employee benefits; (d) the significance of reviewing and changing designations when life events (e.g., marriage, divorce, birth of a child) occur; and (e) the importance of employers and plan administrators maintaining records such as paper and/or electronic copies of all executed designations, especially when there is a change in plan service providers. 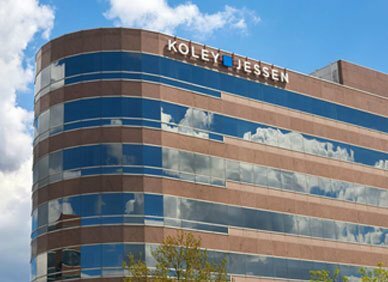 Koley Jessen’s Employment, labor and Benefits Practice Group is prepared to assist you following through with the ERISA Advisory Council’s recommendations.